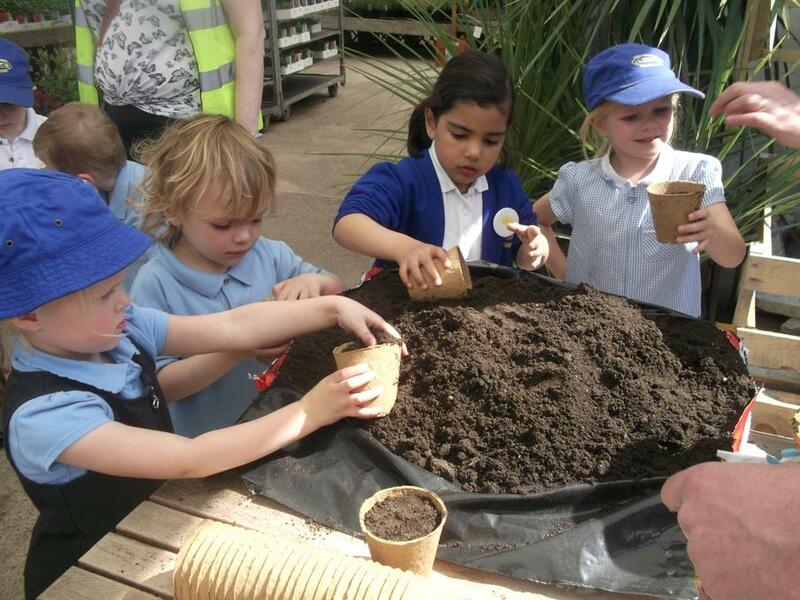 On Tuesday the Dolphins had a day of outdoor learning in Rugby. We started the day by visiting Willow Spoon Farm at Brooke School where we visited the animals and learnt about running a farm. It was very hard work! We were shown around by some wonderful Farm Stewards and we entertained them with our repertoire of Farm linked songs. We then had lunch on the field at Cawston and even had a play on the fantastic playground! 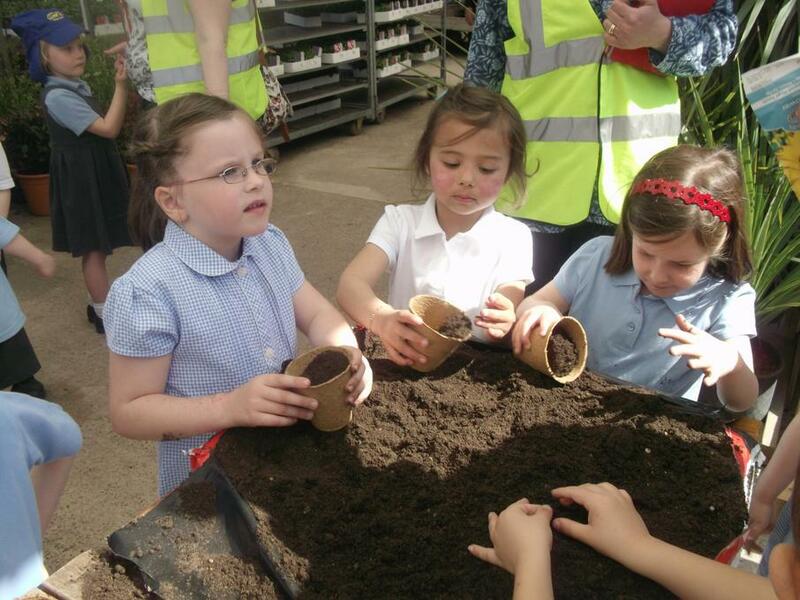 Off to Blooms for a planting workshop and to make lists of plants for our blue themed garden. Can you believe we are starting our last term as Dolphins? Well we've got an exciting term planned! 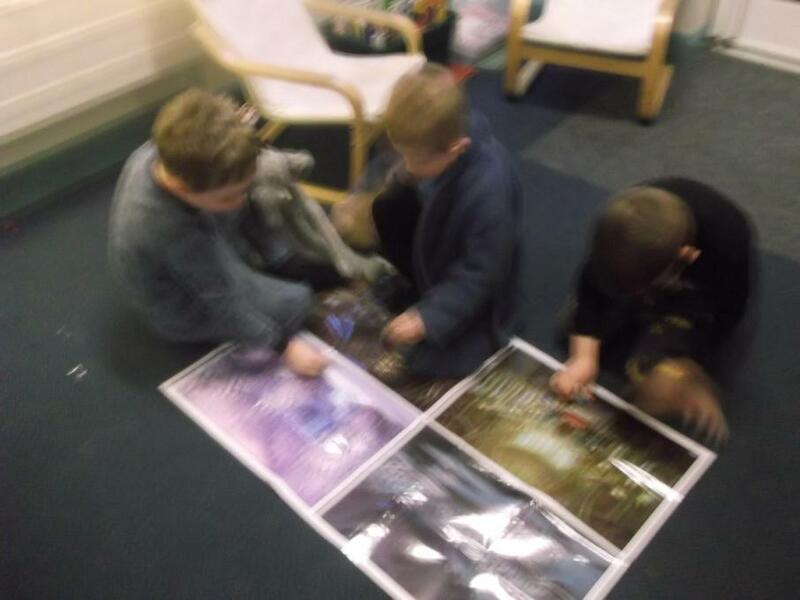 The term our learning is all about Bigger and Bigger! Our first 2 weeks learning will be based on the story of Jack and the Beanstalk. Click on the link below to listen to the story. 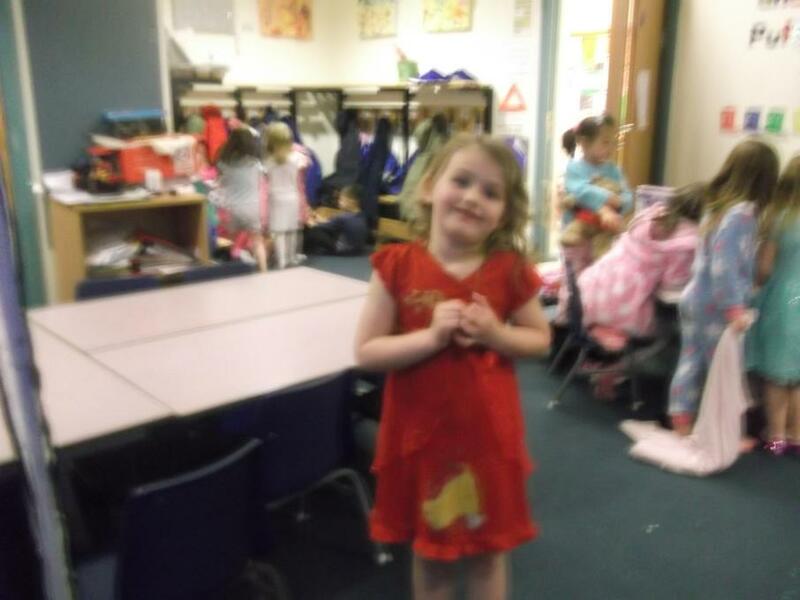 We had fun making lots of Easter treats. We made an Easter basket and thankfully they were filled with chocolate eggs for us. We also made chocolate crispy cakes with 3 eggs in each. We worked out how many eggs we would need for 1 cake or 2 cakes. 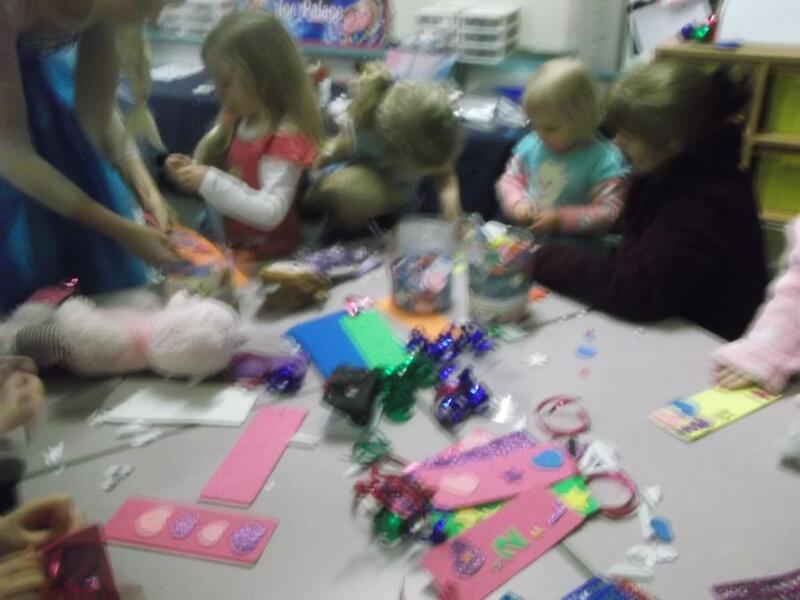 We made beautiful cards like a basket of flowers. Happy Easter everyone. Wow what an amazing half term we have had exploring the story and planning our very own Frozen party. 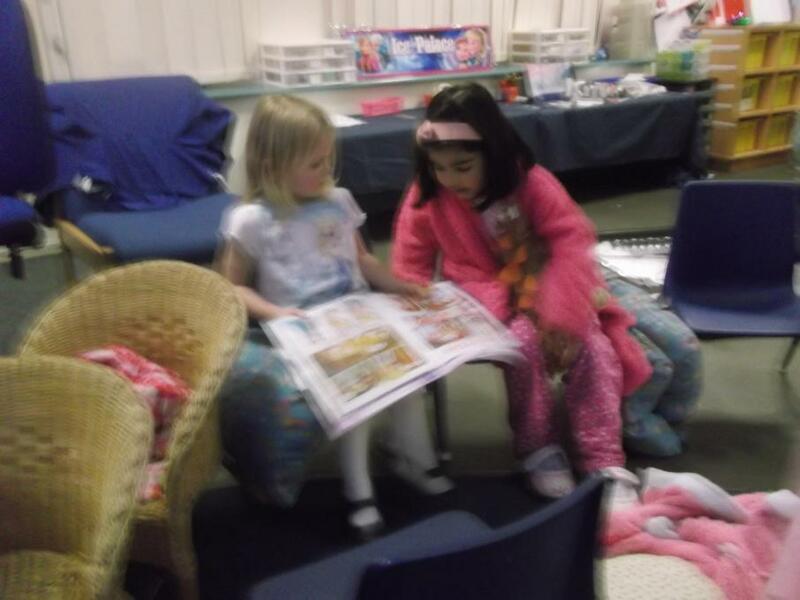 We have made lists, planned, written invites and organised music, games and food to host a frozen party. Our guests arrived and enjoyed the party with their own hand made party bags too. What an amazing cake!! 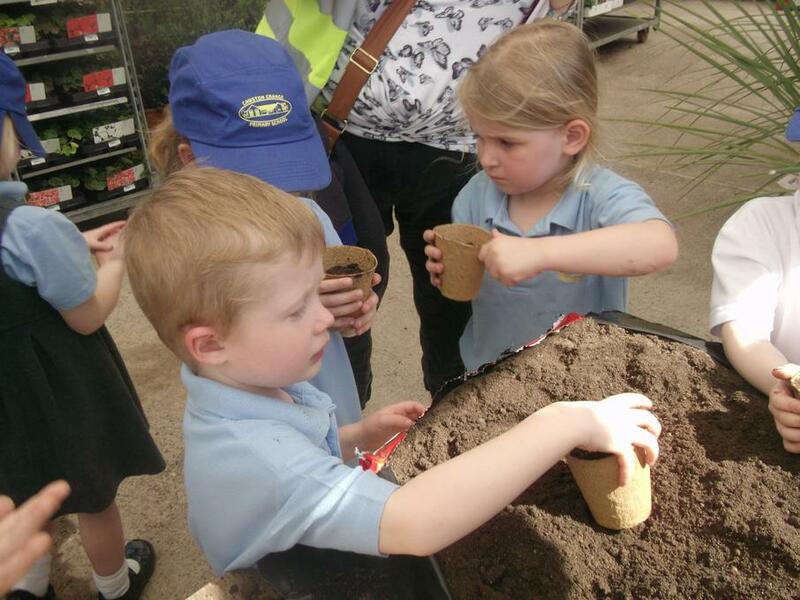 What wonderful parents to come and support our exciting learning. Bedtime stories with a very special guest! 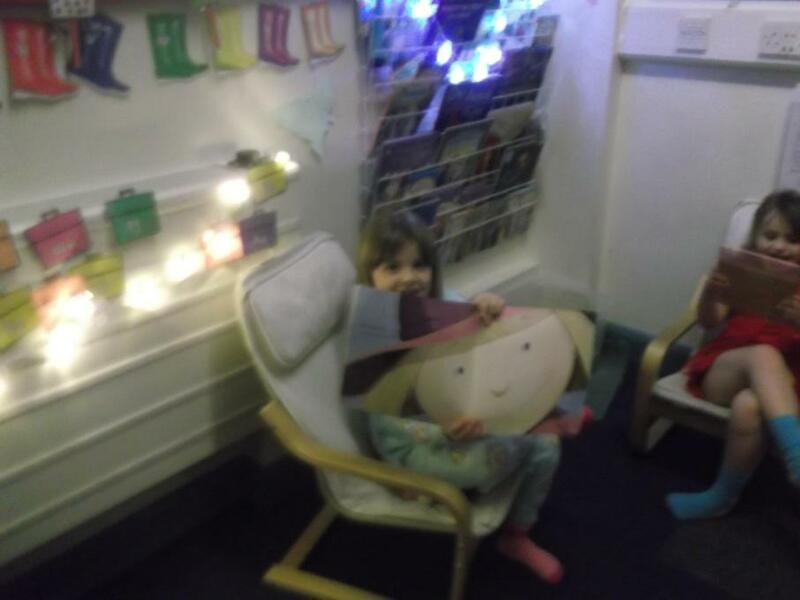 Elsa came to read us stories and make book marks with us as part of our bedtime story evening. 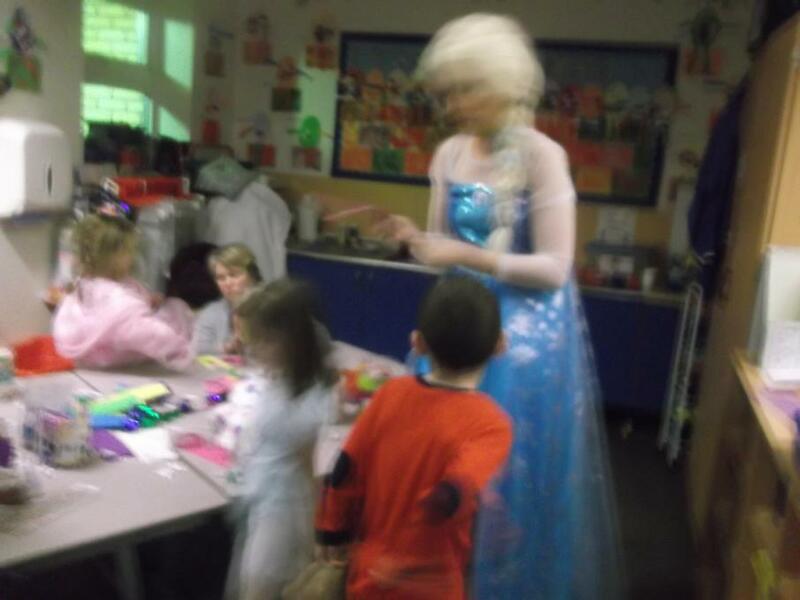 The children were very excited and listened as Elsa read her story "Frozen" to them. 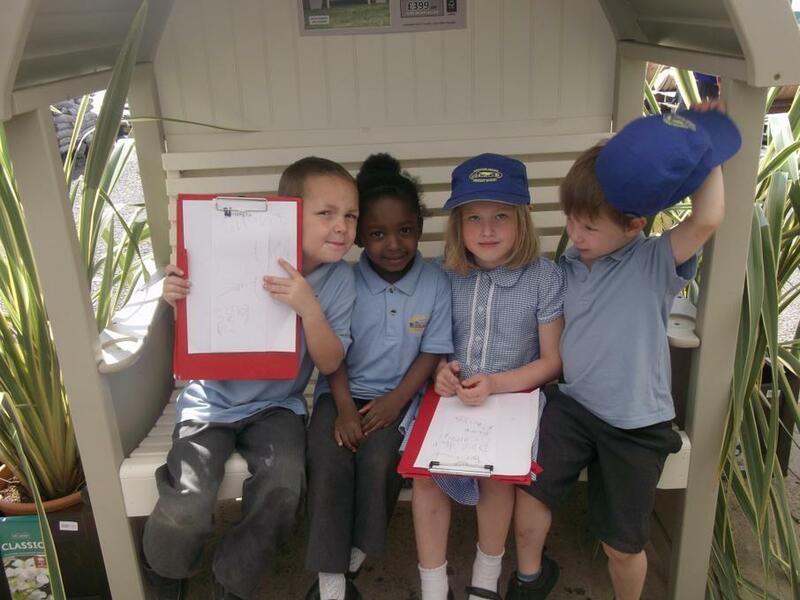 The Dolphins enjoyed a special trip on the number 4 bus to Rugby Library for a special story session. What a lot of fun the Dolphins at with the run up to Christmas. Christmas craft day, performing our nativity and our Cawston Christmas Day with a special visitor!! 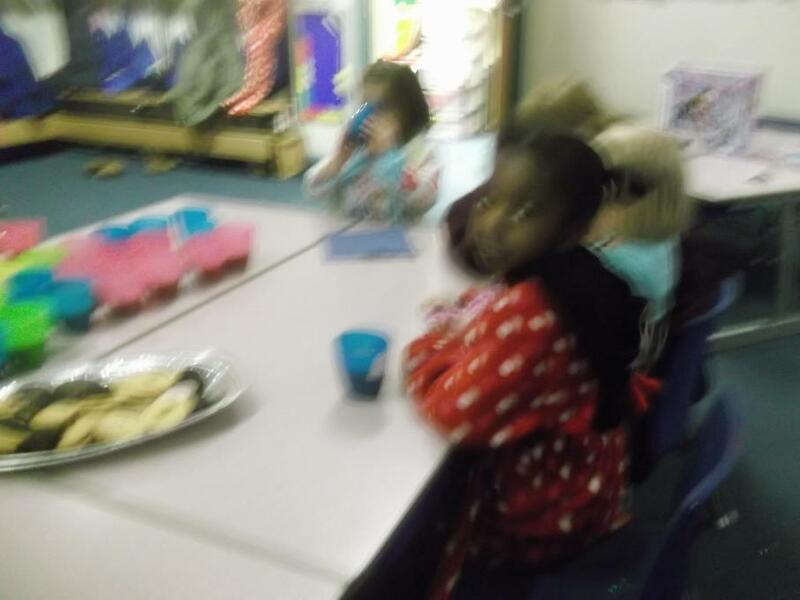 Share our fun by looking at our festive photos. 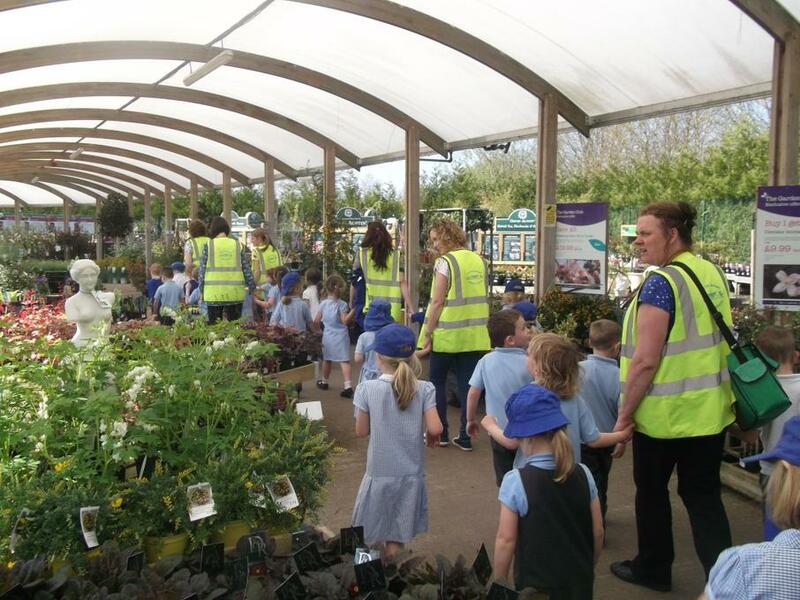 Wow what a fantastic half term of learning in the Dolphins. 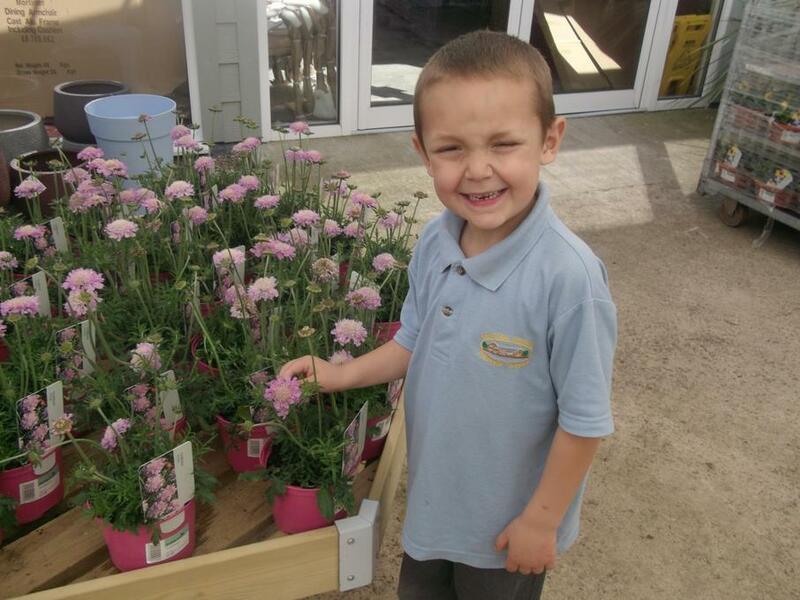 We've been busy learning our school routines and meeting our buddies too. 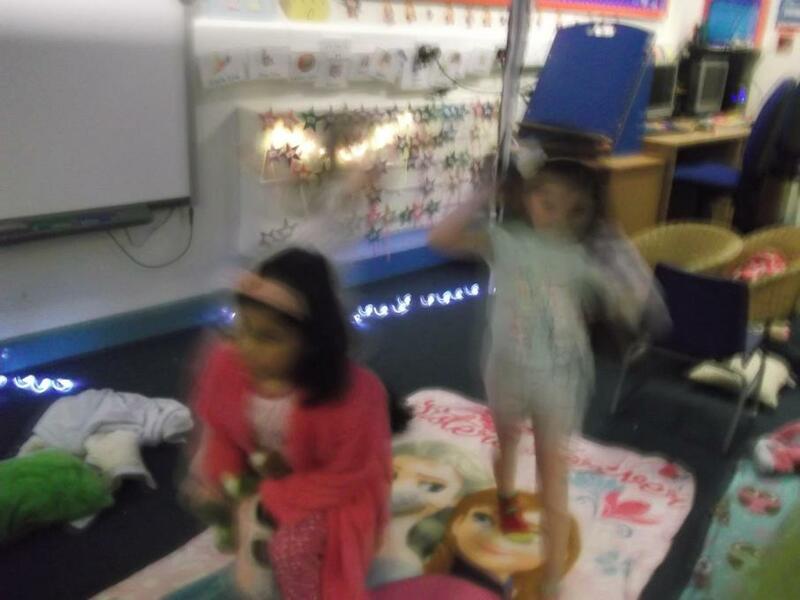 Our teddies came to school for a teddy bears picnic. 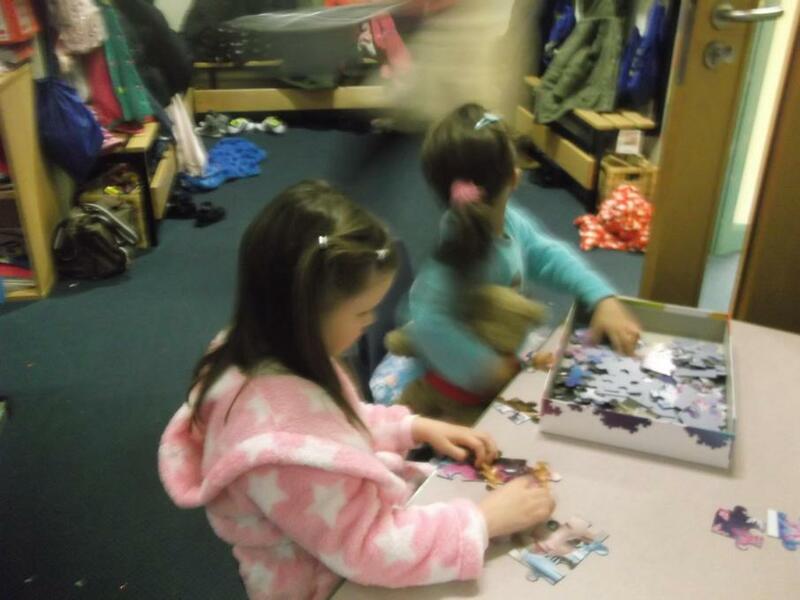 Our buddies helped us to make hats and teddy puppets. 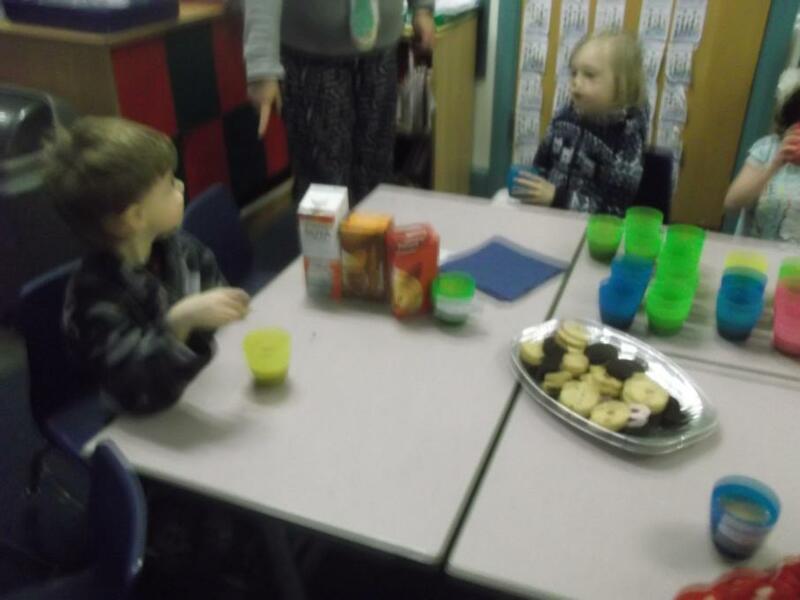 We decorated biscuits to share too. We had fun focusing on the painting Umbrellas by Renoir during art week. We painted, collaged, and blew paint to make patterns.